"The history of the church of Allahabad is linked with the missionary expeditions to Tibet and Nepal" (Historical Sketch of Allahabad Diocese). The Italian Capuchins of Ancona were commissioned in 1703 to evangelize Tibet. In 1707 six Fathers reached Lhasa. They were well received by the grand Lama and allowed to build a church and a house. For lack of personnel, they had to abandon Tibet twice. In 1741 a third expedition was sent. A persecution started due to pressure from the Lamas. In the meantime missionaries continued their healing apostolate. Unfortunately not one Tibetan embraced the faith. In 1745 the missionaries left Lhasa for Nepal. Twenty four Tibetan converts were gathered together for the last time as they joined in offering the Holy Sacrifice, the missionaries left and Tibet was closed for Christ. In 1738-1741 the kings of Bhatgon and Kathmandu requested the missionaries to open a mission in their kingdoms. The land and house to stay were given to the missionaries. By November 1767 there were 59 Baptisms. In July 1745 there was a three cornered war between Bhatgaon, Patan and Kathmandu. Prithvi Narayan, the ruler of the Ghurkas became the liberator of the three kingdoms and within 8 years he conquered the rest of Nepal. He denied the missionaries the royal subsidies granted by his predecessors. As they could not get any financial help the missionaries left Nepal for Bettiah. Patna was till now a resting place for the missionaries traveling between Nepal, Tibet and Chandernagar. In1773 the mission of Agra was entrusted to the Carmelite Fathers. Due to the shortage of missionaries the two Vicariates were amalgamated the missionaries of the province of Ancona were entrusted to look after the above territories which became a great burden to them. Adding to this there was trouble in Europe with political disturbances. The shortage of priests affected the missionary work and its progress in India All these problems did not in any way disturb the faith of the Catholics. In 1820 the prefecture of Tibet-Hindustan was erected into a Vicariate with the see of Agra. In 1825 Fr. Anthony Pezzoni was appointed Vicar Apostolic. He left India in 1842, and was succeeded by Msgr. Joseph Anthony Borghi. At the request of Dr. Borghi, Agra was separated from the mission of Agra and Patna was raised to a Vicariate of Patna in 1845 comprising of eight territories. After Carli of Pastoria refused to accept his appointment, Dr. Anastasius Hartmann of Lucerne was appointed Vicar Apostolic of Patna on September 8, 1845. He was consecrated on March 13, 1846 at Agra. The catholic population at this time was two thousand. Little later, Chunar, Benaras and Ghazipur were passed over to the Vicariate of Patna. On September 1, 1886 Patna Vicariate was erected into a Diocese under the name of "Roman Catholic Diocese of Allahabad." The town of Allahabad was being officially recognized as the new Capital of the mission. Rt. Rev. Dr. Francis Pesci became its first Bishop. On December 20, 1890 the mission changed hands. It passed over to the Capuchin Fathers of the province of Bologna. To promote the mission work, to get more labors in the vineyard of the lord and to extend God's Kingdom, some districts were dismembered from the Allahabad Diocese to form new prefectures and dioceses. In 1887 Purnea and Darjeeling were ceded to the Arch- Diocese of Calcutta. In 1892 Bettiah, Chuhari, and Latonah of Allahabad Diocese, formed the prefecture of Bettiah. Patna, along with Bankipore, Bhagalpur, Jaunpur belonging to the Allahabad Diocese formed the Diocese of Patna in 1919. Jabalpur Prefecture was formed in 1932 with Nawgong, Saugor, Bina and Shampura. Then followed the Prefecture of Indore in 1935 with an addition of Bhopal and Sehore given from Allahabad. 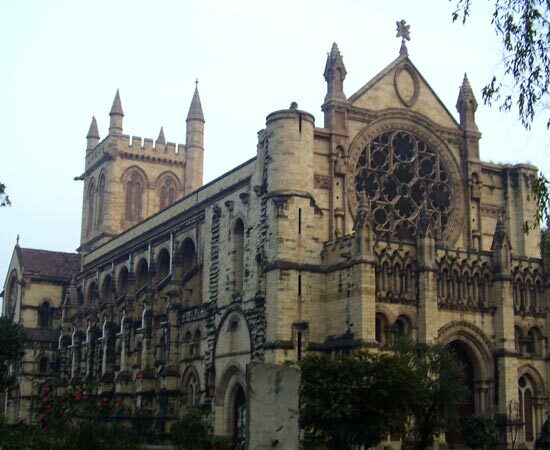 In January 1940, Lucknow Diocese was formed with ten civil districts of Uttar Pradesh given from the Diocese of Allahabad. This was followed by the erection of Jhansi Prefecture comprising of six civil districts of U.P. from Allahabad. Finally, Varanasi Prefecture was formed with Varanasi, Mughalsarai, Francispur, Ghazipur, Hartmannpur, Gorakhpur and Shahganj and it was raised to the status of a Diocese in 1970. At present Allahabad Diocese, one of the largest Dioceses in the world, since 1886 had gradually helped to form seven ecclesiastical units. This Diocese was manned by the Capuchins till 1947, and then handed over to the Diocesan Clergy formed by Bishop Angelo Poli O.F.M. Cap. Archbishop Leonard Raymond was its first Indian Ordinary (Bishop) in 1947. Today Allahabad Diocese comprises of 13 civil districts of Uttar Pradesh. They are Allahabad, Ambedkarnagar, Amethi, Faizabad, Fatehpur, Kaushambi. Kanpur City, Kanpur Rural, Mirzapur, Pratapgarh, Raebareli, Sonebhadra and Sultanpur.